﻿ Power magnet, Dics 30x15 mm. | Have a strength of 23 kg. Sign up for our newsletter to receive good offers 1-2 times a month. Your e-mail address stays with us (will not be passed on to third parties). 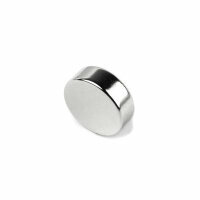 Power magnet, Dics 30x15 mm. READ ABOUT POWER MAGNETS HERE BEFORE YOU BUY! 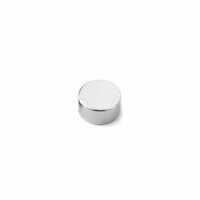 A very powerful magnet with a size of 30x15 mm. The strength is approx. 23 kg. Power magnets are made of neodymium, which is the strongest magnetic material. So take care when you are using this magnet. This magnet 30x15 mm. can be used on all magnetic surfaces. We don't recommend you use this magnet on a glass board as careless use can ruin the glass board and magnet. Want a stronger magnet? Then take a look at all our power magnets here. 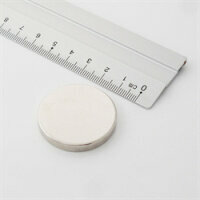 Related products to Power magnet, Dics 30x15 mm. Power magnet, Disc 12x5 mm. Power magnet, Disc 20x7 mm. Power magnet, Disc 20x8 mm. 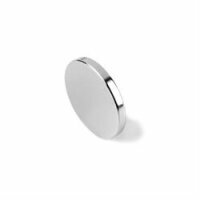 Power magnets, Disc 30x3 mm. Power magnets, Disc 35x5 mm. 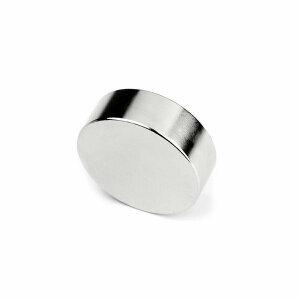 Power magnets, Disc 8x5 mm. 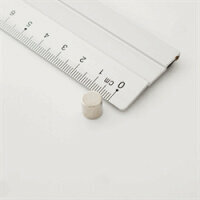 Power magnets, Disc 8x8 mm. Welcome to Magnetpartner. 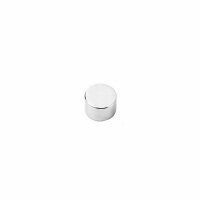 Magnets are our expertise and we have specialised in the online sale of very powerful magnets and magnetic pockets of the highest quality on the market (since 2007). We are passionate about our customer service! Due to increasing demand, we decided to start up Magnetpartner in the spring of 2015, and we are now selling our magnets throughout the EU. We respond to all e-mails quickly.